The purpose of this automatic line is to mark 32-100 mm long Al and Cu tubes. 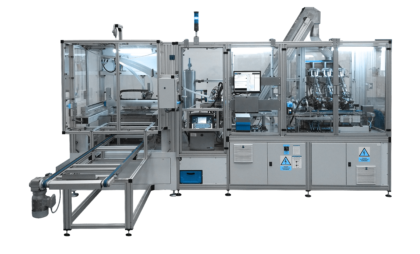 This automatic line includes a visual control provided by the high-speed camera that evaluates the correct description and length of the tubes. The line is designed as fully automatic. The operator only adds input material. Machine time is 0,42s / pcs.